If you smoke, quit immediately and if you don't, never start. Staying away from tobacco is the best thing you can do to keep away from lung cancer. Even if you've been smoking for years, quitting will cut down your risk drastically. If you find it difficult to quit, there is medical help available. You can talk to your doctor for various aids which can help you in quitting smoking. If you live or work in an environment where you have somebody who smokes, ask them to quit or ask him to smoke away from you. Avoid areas where the atmosphere is full of cigarette smoke. Opt for smoke-free zones in restaurants and pubs. If you live in areas where radon levels are known to be high, get your home radon levels checked as well. Try to keep away from asbestos fibre as it may cause lung cancer. If you work in a place where asbestos is being used, try to follow all safety measures provided by the company like wearing a mask or respirator to avoid breathing in asbestos fibres. Protect yourself against exposure to toxic chemicals if that is a part of your work. Follow safety guidelines & measures like wearing a mask etc. Do not go for needless x rays at frequent intervals. Avoid exposure to radiation as much as possible. It is observed that certain types of alcoholic beverages like heavy consumption of beer and hard liquor is found associated with an increased risk of developing lung cancer. To keep a check on your health status, go for regular lung cancer screening tests and full body checkups. Chest x-ray once in two years should be done as a routine. Early detection of lung cancer is the key factor in good prognosis of the disease. 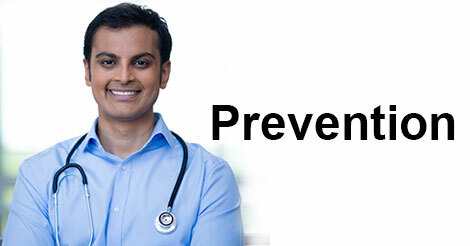 Preventive health checkups will help in determining the overall health status of the body. Indus Health Plus offers several checkup packages which can help in catching diseases at an early stage. To know more about it, get in touch with us. We will be happy to help you. Lung cancer is one of the most common types of cancer. The risk of developing this cancer depends on a plethora of factors and differs from one person to another. As there is no definite way to prevent from this serious disease, regular full body check up can definitely help in knowing your health status. If you have any doubts about this disease or want to talk about it to a medical professional, contact Indus Health Plus by filling the given form and our team member will get in touch with you.